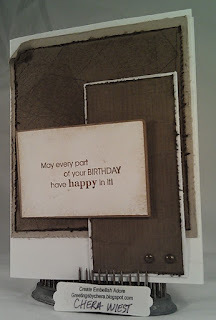 Create Embellish Adore: Manly Birthday! 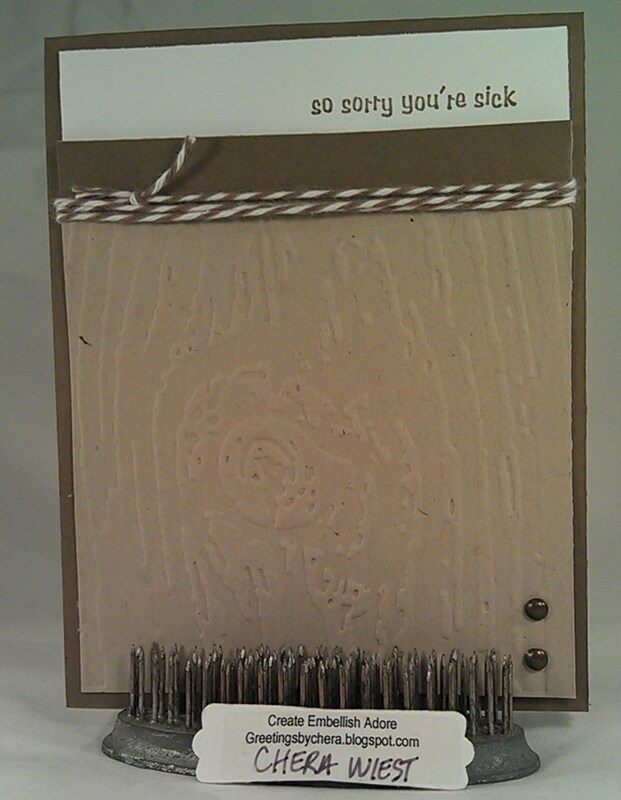 When I saw the Dynamic Duos challenge, I really thought two things - masculine birthday and fathers day... then I got creating I stuck with the birthday but thought... hmmmm with all this "Nirovirus" going around, instead I made a get well card. 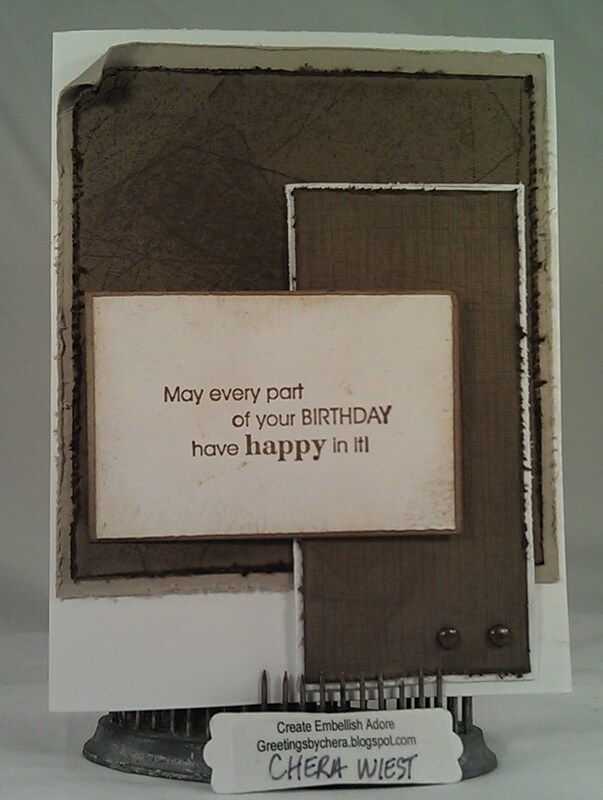 First up is the birthday card. 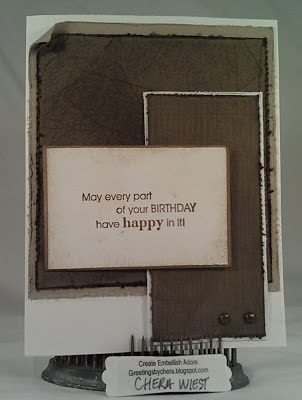 I used a technique in which you stamp your ink pad directly on the paper numerous times and many directions (name escapes me)- I like the look and with some distressed edges - it comes together. The bottom corner had two brads, that are kinda hiding, but I kept them. The sentiment is from Full of Life. 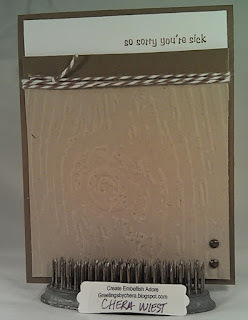 The Get Well card that uses Really Retro, thats been retired for a while now. I like it though, keeps things simple! 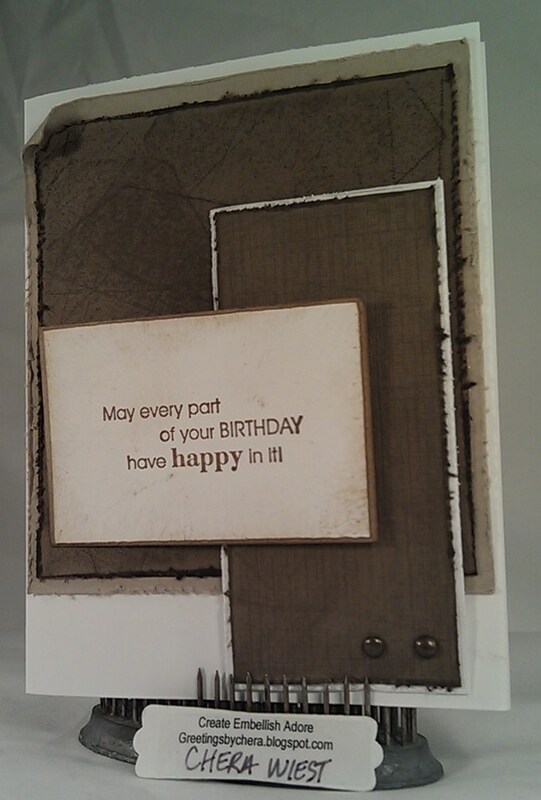 I used the Woodgrain impressions folder for the Big Shot, and added some twine under the Soft Suede cardstock. Hug the ones you love! Both of your cards are really nice. I thought masculine when I saw the colors too...but mine didn't end up that way. Thanks for joining us at Dynamic Duos this week. Both cards are wonderful, I love the distressed look on the first one, and the woodgrain is such a fantastic look for masculine cards. 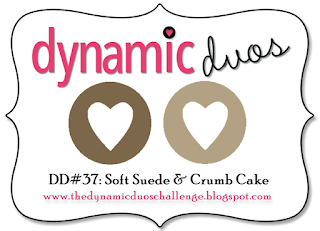 Glad you shared them with us this week at Dynamic Duos. I love to papercraft! I love to cook! Its my stress relief... a passion.. Welcome to a small piece of my world. All of the contents on my blog are COPYRIGHT 2013 Chera Wiest. This includes designs, ideas, texts, and pics. My artwork is posted for your enjoyment and to inspire you to create and may not be used for publication or design contests.